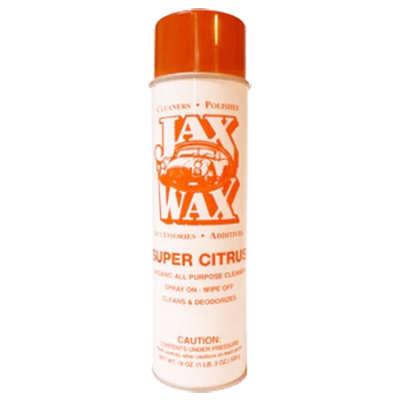 Jax Wax Super Citrus Aerosol Cleaner is a great Spray On – Wipe Off Organic All Purpose Cleaner. 99.9% Biodegradable and Cleans and Deodorizes at the same time. SKU: SCA. Category: Soaps & Cleaners. 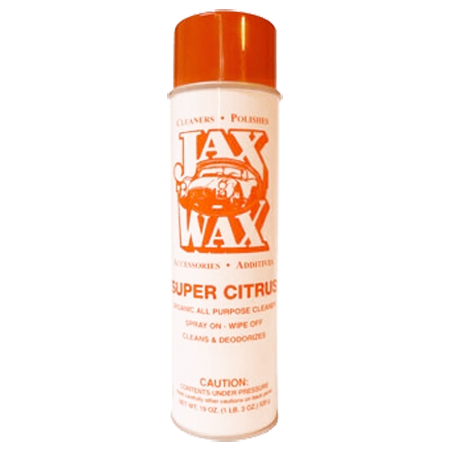 Jax Wax Super Citrus Aerosol Cleaner is a great Spray On – Wipe Off Organic All Purpose Cleaner. The product is formulated with orange citrus solvents and removes dirt, scuff marks, grease, oil smoke film, light carbon, dust, lipstick, crayon marks from virtually any washable surface and deodorizes at the same time. Shake well before using. Spray a small area until wet. Let stand for several seconds. Wipe off with a clean, dry cloth. 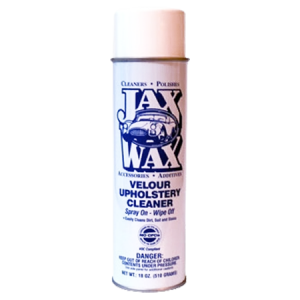 When using on plastic seat covers or leather, RINSE with a clean damp cloth. 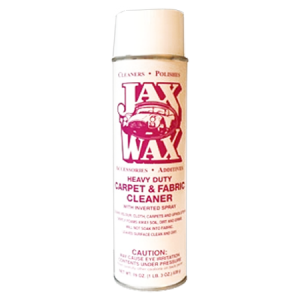 Be the first to review “Jax Super Citrus Aerosol Cleaner” Click here to cancel reply.